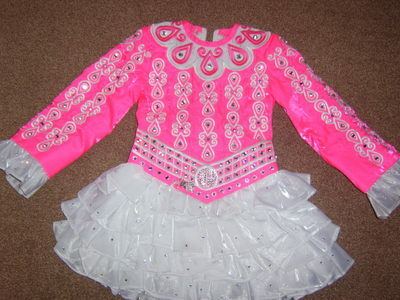 BEAUTIFUL CHAMPIONSHIP DRESS!!! 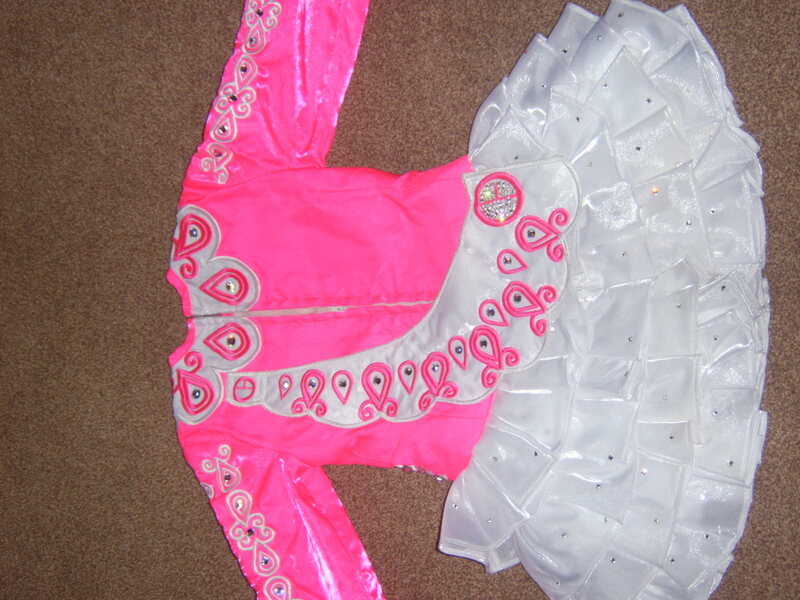 THIS DRESS IS MADE FROM PINK AND WHITE TWINKLE SATIN AND BOTH THE BODICE AND SKIRT ARE DECORATED WITH CRYSTAL SO IT REALLY SPARKLES ON STAGE. 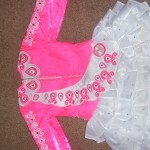 THIS DRESS IS CURRENTLY WORN BY A 9 AND HALF YEAR OLD DANCER WOULD SUIT A 8-9 YEAR OLD. SADLY MY DAUGHTER HAS OUT GROWN THE DRESS, ITS 1 YEAR OLD. HEADBAND AND PANTS AND DRESS BAG INCLUDED. THERE IS ROOM TO LET OUT AND DOWN. Asking Price: Â£650 OPEN TO OFFERS. Shipping costs not included. Sale is final.